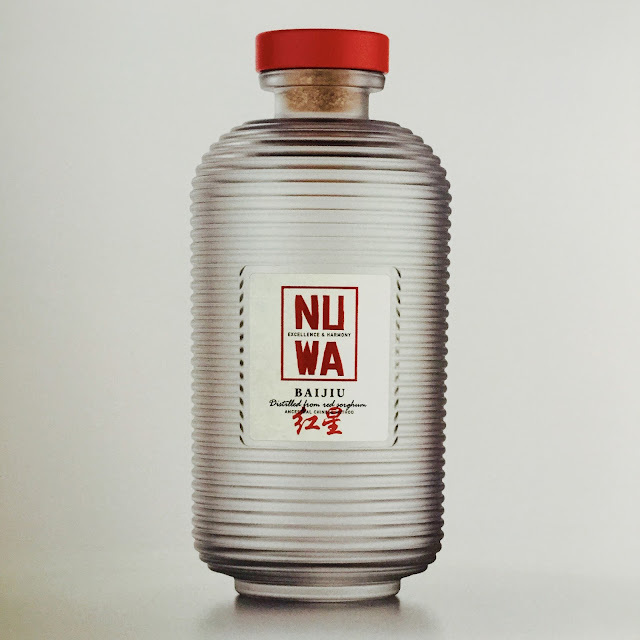 spiritueux magazine: NU WA, THE ULTIMATE BAIJIU. NU WA, THE ULTIMATE BAIJIU. On August 23, 2016, Beijing Red Star Co., Ltd. launched a press release for its new product, Nuwa, the first one tailored for international spirits market together with its domestic mega products in the Hacienda El Centenario of Tequila, Mexico. Red Star represents light-aroma baijius and has carried on both the traditional baijiu making techniques taking shape in the Yuan Dynasty and the special technique of Erguotou making, which is included in China’s National Intangible Cultural Heritage List. Erguotou can trace back to 1680, the nineteenth year of Emperor Kangxi’s reign in the Qing Dynasty. A legend goes that three Zhao-surnamed brothers Cunren (connoting benevolence), Cunyi (connoting integrity) and Cunli (connoting civility) came to Beijing from their native place—Raodu of Linfen City, Shanxi Province, to extend their family alcohol business inherited from their forefathers. 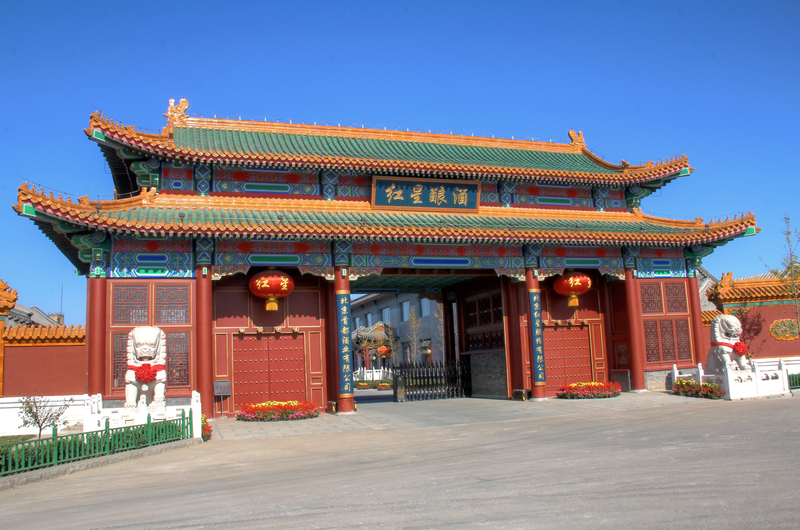 They settled in Qianmen and founded their Yuansheng Distillery. In Chinese, Yuan connotes never forgetting its source when drinking water from a stream while Sheng means rising step by step. By the time of late Ming Dynasty and early Qing Dynasty, distilled alcohols had prevailed in Beijing for a matter of 500 years, but the Zhaos found that Beijing distilled alcohols were not of steady quality, sometimes too hot and harsh to swallow and other times too stale and thin. They made a lot of observations and process modifications and finally came to a conclusion that the heart of the distillate was of the best flavor, neither too strong nor too light, but mellow and clean. After that, they made improvements to their alcohol-making process time and again, removing the heads and tails of the distillate and as a result making their products well recognized in Beijing for quality excellence, rich, mellow and clean. The Zhaos also followed the code of benevolence, integrity and civility in doing business and earned the title of Grand Masters of Erguotou. Even emperors of the Qing Dynasty sang praises for their alcohol flavors. 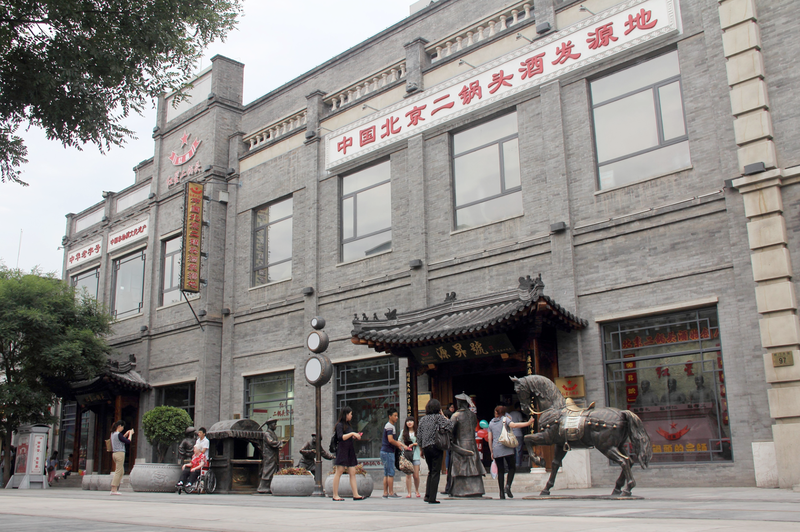 Therefore Yuansheng Distillery was among the Four Grand Firms in Beijing in the Qing Dynasty and the other three were Wangzhihe, Tongrentang and Songzhuzhai (the predecessor of Rongbaozhai).Yuansheng Distillery was the source of Erguotou and forefather of Red Star baijiu. Just before the founding of the People’s Republic of China in1949, for regulated control of alcohol production, a dedicated pilot distillery was set up in Beijing for production of Erguotou, which was later named as Beijing General Distillery and Beijing Red Star Co., Ltd. As the first state-owned distillery of New China, it turned out the first lot of spirits in spite of all difficulties as a tribute to and a witness of the New China Founding Ceremony. To express their great joy and happiness with this special occasion, they named this lot of tribute spirits as Red Star Erguotou. A few years later, the Chinese government unified the name of baijiu based on all kinds of spirits with similar raw materials and distilling processes for the purpose of standardized industrialization. From the first day of its appearance in the market, Red Star Erguotou was the favorite of the Chinese people. With high-quality red sorghum of north China as raw materials and through multiple processes of baijiu making, including its unique qu making, five-pot-sized grain fermentation, mixing-steaming-distilling of both raw grains and fermented grains, collection of distillates, storage-ageing and blending, Erguotou is aromatic, mellow and zesty with a long finish and very good taste but very affordable for consumers. Whether for family or friendship dinners or daily meals, one shot of Red Star Erguotou will be a great pleasure for the Chinese ordinary folks. However, Red Star Erguotou as a liquor is still a new comer in foreigners’ eyes. As late as in 2008 when the Olympic Games took place in China, it was one of the three officially approved alcoholic beverage treats for the event, the first step to perform on global stage and catch the world’s immediate attention. At the 2014 CMB—Spirits Selection, known as Oskcar or Olympics of the alcoholic drinks world, Red Star Erguotou Blue Bottle stood out among 624 international spirits candidates and won a gold medal together with Moutai Feitian. At the 2015 CMB—Spirits Selection, another product of Red Star—Blue and White Porcelain Bottle won a gold medal. The two medals for two consecutive events really gilded Chinese baijiu industry and won recognition for baijiu in the global spirits market. Now not only do the foreigners know the luxury Moutai but also know the more affordable Red Star Erguotou. Red Star Erguotou, born almost the same year with New China, has been well established as a national brand of baijiu in the heart of every Chinese. In China, red stars represent the CPC and New China, so Red Star Erguotou is a reminiscence of the red army’s diligence and perseverance along the Long March. As expected by the Chinese people for generations, Red Star Erguotou has won numerous international thumb-ups from both professionals and consumers and is now starting its new long march to the global market. Nuwa, a new product of Red Star Erguotou, specifically tailed for the global market, has conveyed more than one cultural and historical connotation in its appearance and package designs, especially the clay-like bottle. (N.B. : Nuwa was a legendary figure in Chinese mythology, who made Man with clay and completed the sky with stone blocks.) Nuwa brand, on the one hand, carries the Chinese time-honored alcohol-making culture and the Chinese people’s unremitting efforts, and on the other hand, conveys Red Star Erguotou’s determination to fill in the global market blank with Chinese baijiu. With their unremitting efforts, we believe, Nuwa will be a magic stone block of the Orient to make the global spirits market sky complete. Just like Edgar Snow’s novel—The Red Star Over China, today’s Red Star will be shining over the world!